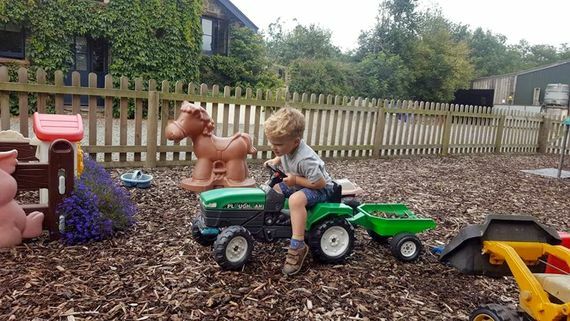 Previously listed as number 2 in the Guardian's 'Best UK Farm Stays', Chittlehampton Farm combines a fantastic 'Old MacDonald' real life farm experience for little ones with a a touch of luxury rural retreat for parents. Just two cottages enjoy the outstanding range of facilities at this special spot which is just a short drive from the M5 and the North Devon coast but seemingly in the middle of nowhere. 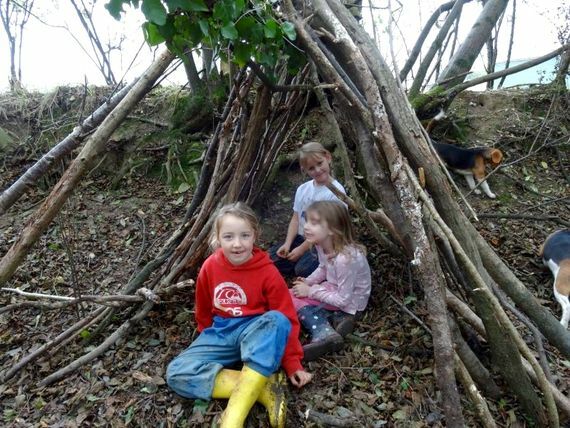 Here, road-weary little ones burst into life as they explore the farm which, along with a host of four-legged friends, also boasts a endless opportunities for fresh air, exploration and play from the heated outdoor pool, ride-ons lawn, mini 'Farm Shop', trampoline, adventure play area, mud kitchen and stream-side camp fire corner. 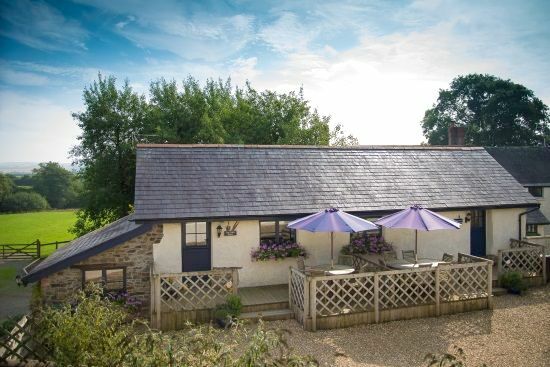 Owners Chris and Tracey Wilson have skilfully converted the stables and the cider barn on their pretty farm into interconnecting 2 & 1 bedroom cottages, adding the kind of touches that make a family holiday really comfortable. The upside down design of the barns along with their airy and stylish interiors maximise the stunning views, whilst parents will also appreciate the little luxuries in the form of dishwashers, CD/DVDplayers, underfloor heating and romantic log burners. Delicious home-made meals and farm produce are available as ‘take-aways’ from the farm store,and often cooked up at impromptu camp fire nights.Bradbury is fabulous for foodies too. Delicious home-made meals are available as ‘take-aways’ from the farm store, or restaurant-style in the farmhouse dining room, which is thoughtfully linked up to baby monitors in the cottages opposite allowing parents to ‘dine out’ and not need a babysitter. 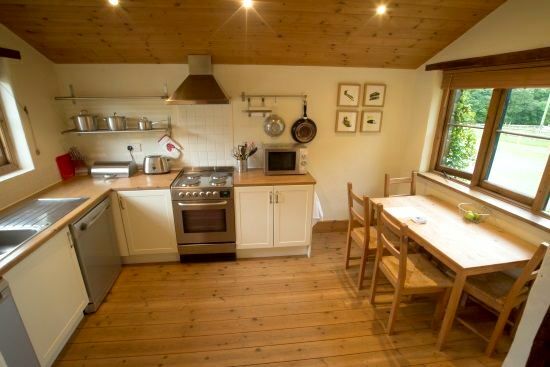 Parents will also appreciate the little luxuries in the cottages in the form of dishwashers, CD/DVDplayers, underfloor heating and romantic log burners. Nights 'at home' are all the more enjoyable thanks to the fully-stocked freezer of home-made ready meals or BBQ goodies in the farm store, which also boasts a fridge full of locally produced diary goods from milk and butter to yoghurts and cheeses, plus jams, preserves and even gifts and sheepskin home accessories. 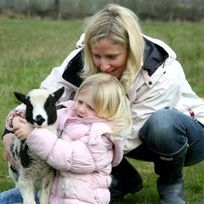 Its easy to see why the Guardian listed Chittlehampton Farm as No.2 in its recent round-up of the UK's best farm stays. Apple Cottage is the smallest of the two adjoining cottages at North Bradbury. It sleeps 2-4 with one-bedroom and lounge sofa-bed. Upstairs is a spacious open-plan living area with kitchen (laundry facilities in an adjoining outbuilding), diner and leather sofabed in the lounge area, which also has a TV with Freeview (includes Cbeebies), CD player, DVD player and a selection of books and games. The first floor has access to a veranda and enclosed garden. Downstairs is a double bedroom with plenty of room for a cot. The bathroom has a bath and shower over. The interiors are a skillful combination of original features with contemporary furnishings. The vaulted ceiling in the upstairs lounge area gives it a very spacious feel despite the cottage having just one bedroom. 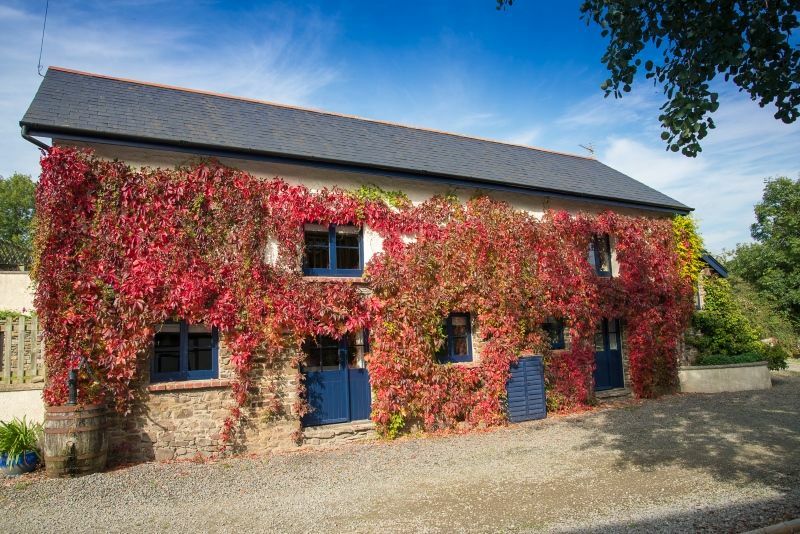 Situated just 10-minutes from the North Devon link road, the barns are within easy reach of Exmoor and the North Devon Coast. 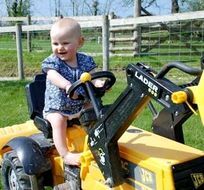 Particularly recommended for young families are Diggerland, The Big Sheep and The Milky Way. The farm is also surrounded by a selection of good local pubs amongst the most child-friendly are The Bell, The Grove Inn and The Stag’s Head. Chris and Tracey both grew up in North Devon before getting married and moving away. Both passionate about North Devon they couldn't wait to return with their young family - so they too could experience the childhood they had.They have been here ever since ! They have two daughters. Hannah, who is a principle of a large comprehensive school in Oxford and Pip who is married to Jon and lives locally with her two children Flinn and Etta - who can often be found here on the farm. Chris has had numerous jobs over the years including working in a five star hotel, various farming jobs and running his own steel fabrication and welding business - which he now no longer has time to do ! 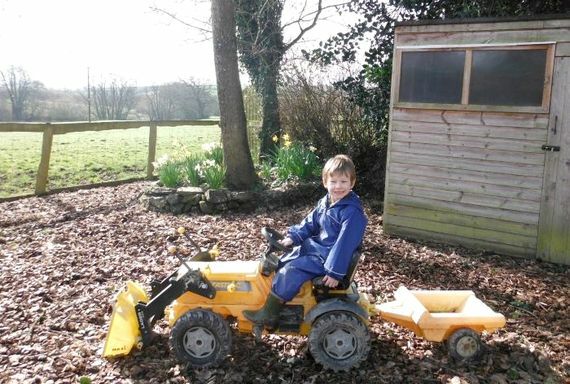 He loves his life on the farm with his guests - young and old alike and only usually leaves the farm to go to Mole Valley Farmers or have a day out hunting ! He is very passionate about animals and the countryside he lives in and is very happy to share his wealth of knowledge with the visitors and as one Dad said ` everyday is like a school day at North Bradbury '. He took that as a compliment ! Tracey,who is a qualified Nursery Nurse, has worked in various jobs with children,from nannying and working with Autistic children to opening her own 50 place Day Nursery, which she ran for 17 years before selling the business and `retiring' to North Bradbury Farm ! Tracey loves children,swimming , playing tennis, gardening and cooking, So everyday while Chris is outside doing the feed runs and looking after the farm she is baking, keeping the farm shop stocked and tending the gardens. They both love living in North Devon and feel very privileged to live in such a beautiful part of the country and being able to share their wonderful life style with the guests, some of whom have becoming for years and have become great friends hence their motto ` arrive as guests and leave as friends ' Both being VERY sociable they always have time for their guests, whether it is to suggest an outing, give directions, offer advice on childcare.They love meeting new people , often from around the world, every week.Hopefully giving them such a great holiday, that they then become regular guests and return to see us ! The children love to holiday here because there is so much to do and of course so much freedom. 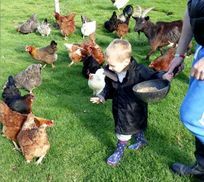 With twice daily animal feeding and egg collecting, lots of opportunity to help Farmer Chris, have real ` hands on ' experience with the animals and of course get wet and muddy ! Chris is very patient and builds up the children's confidence throughout the week giving the children jobs that are age appropriate.And lets not forget the optional pony rides, the poo to swim in, animal and scavenger hunts, three play areas to play in, ten acres to explore, streams to dam and paddle in, trees to climb and that is all with out leaving the farm ! 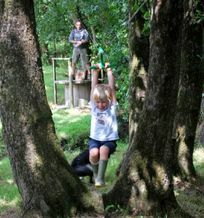 Throw in days out on great beaches, Exmoor and local family attractions - OF COURSE THEY ARE GOING TO LOVE IT HERE ! 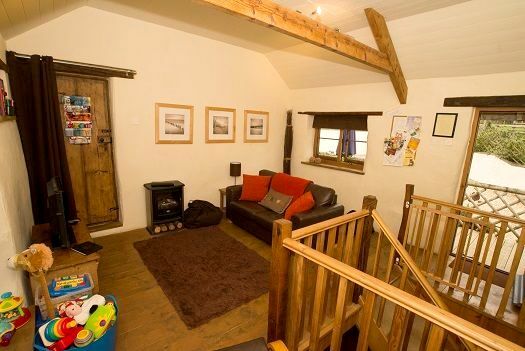 sleeps 4 including infants in 1 bedroom plus lounge sofabed. The capacity can't exceed 4 including cot sleeping infants. Exeter is just an hour away and Bristol is 1hr 40 mins away. Saunton beach with family facilities including cafe and shops and excellent golf club. The farm store adjoining the cottages has fridge and freezer full of home-made ready meals, local cheeses, yoghurts, ice creams and butter, plus a range of speciality chutneys, preserves, vegetables, free range eggs from the farm hens. An outdoor heated pool which is fully fenced with gate with coded access. Plus guests can use Highbullen Hotel Golf & Country Club's indoor pool. Baby-sitting is also available by arrangement. A host of nursery equipment is supplied including baby carrypacks, cots, high chairs, baby baths, stairgates, plug covers, bedguards and changing mats. Lots of toys suitable for little ones are available in the cottages including bricks and a train set. Plus communal DVD library with over 100 films. The farm store adjoining the cottages has fridge and freezer full of home-made ready meals, local cheeses, yoghurts, ice creams and butter, plus a range of speciality chutneys, preserves, vegetables, free range eggs from the farm hens. Tesco Direct home-delivery is available. Highbullen Hotel Golf & Country Club has a lovely spa which just 15 minutes away. 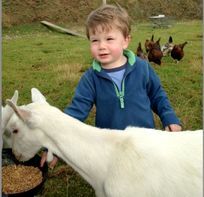 Farmer Chris leads daily feeding and egg collecting rounds visiting chickens, ducks, horses, sheep and pigs. 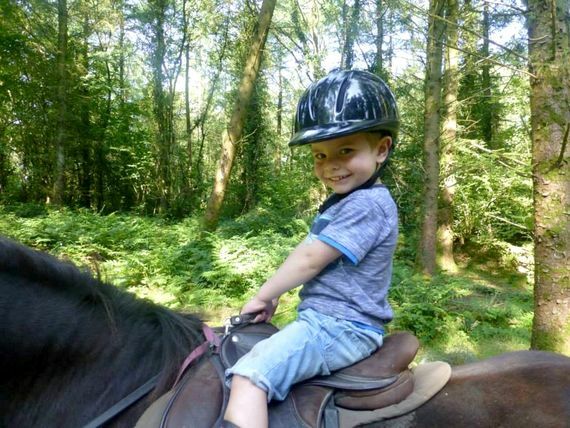 There's also the opportunity to ride the resident ponies, suitable for even the most nervous children. Saunton Golf Club with an excellent golf club and beach with family facilities including cafe and shops. A perfect place to go with our two under 5s! 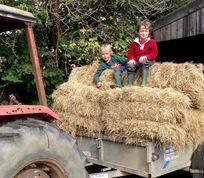 There was plenty to do on the farm and we had such a warm welcome we felt more like guests of the family than paying customers. So much thought had been put into every detail - from the age specific toy box in the living room (with toys suitable for my older child placed nicely on a high shelf), a very well equipped kitchen, to the full size cot (rather than a travel cot shoved in a corner), to the magazine rack high up on the wall and full of up to date things - way out of reach of sticky fingers! 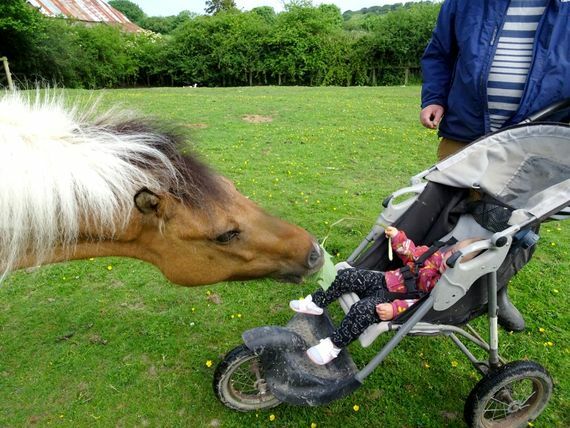 Our daughter had a lot of fun helping with feeding the animals with my son (a bit too little to help) watching. Don't be put off by The Cider Barn using a sofa bed to accommodate 4 people - we put our daughter to bed in our room each night and moved her up to the sofa bed in the living room when we decided to go to sleep - we have never been at all flexible with her sleep routine but she took it all in her stride and was very happy to be surrounded by all of the toys the moment she woke up in her "magic bed". If you only ever do one farm stay, do this one. We can't wait to go back. Lovely place, lovely hosts, lovely location and our toddler had a ball. Lovely attention to detail from the start to make stay comfortable. Super cream tea to start the holiday! We have just returned from a great break at this property. The hospitality is fantastic and, even though the weather was a bit unpredictable, there was plenty to keep my two year old occupied. He went to bed shattered every night talking in his sleep about helping Farmer Chris with the animals! We were very impressed. A fantastic place to stay. We would thoroughly recommend North Bradbury Farm. A fantastic week away, a great experience for all the family with plenty to keep us entertained. 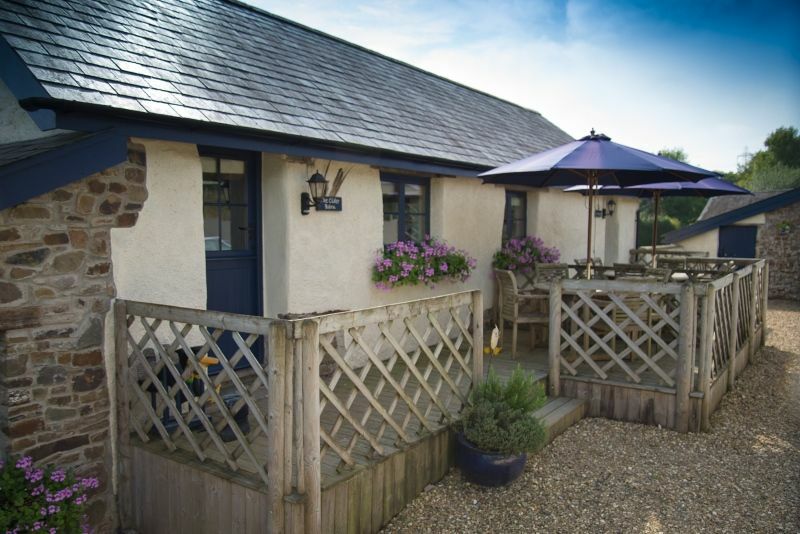 Lovely, well equipped accommodation & great food to buy from the farm shop. Also had a beautiful meal cooked for us & served in the farm dining room. Our 2 year refused to miss animal feeding, whatever the weather & was keen to swim in all weathers too. We have just come back from a fantastic week at North Bradbury Farm. 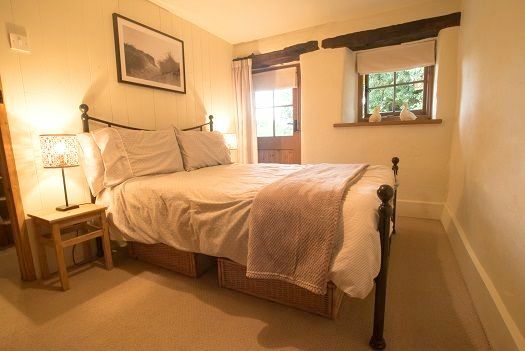 The cottages are really cosy and have been thoughtfully equipped throughout. It was lovely to be welcomed with scones, jam and cream and the small farm shop means that even if you turn up completely unprepared there is everything you could need for your evening meal and breakfast! Chris and Tracey could not have been more welcoming and we will definitely return when our baby is a little older and better able to appreciate the puppies, piglets, ponies etc. Unbelievably child friendly - so well equipped, great activities especially the animal feeding and Tracey and Chris are brilliant with children. Hugely enjoyable for little ones and adults alike. A brilliant set up for children and extremley friendly and helpful hosts that go out of their way to help you and the kids have a great holiday. North Bradbury farm is a special place, we were really lucky to find it. We would highly recommend it for a family holiday no matter how young your children. The accommodation is immaculately clean with stylish interiors, well stocked with everything you would have at home. The pictures on the website don't do it justice. 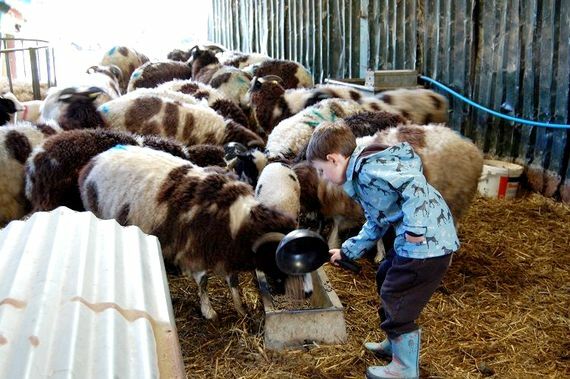 The farm offers a unique opportunity for children to help feed the animals including pigs, sheep, ducks, goats, chicken and ponies. We have a one year old and he got loads out of the experience. He was making sheep noises by the end of the week. Children get up close with the animals, for example they see every stage of a duck's life from egg to tiny ducklings to grown ducks. You can then sample the duck and other farm produce in the delicious, restaurant quality meals, prepared by Tracey. Another unique experience - a delicious three course meal while you can hear your baby snoring away (hooked up to a baby monitor) in your cottage which is a few steps away from where you dine. You can also buy farm produce in the farm shop. It's well stocked with frozen meals which are again home made and very tasty. 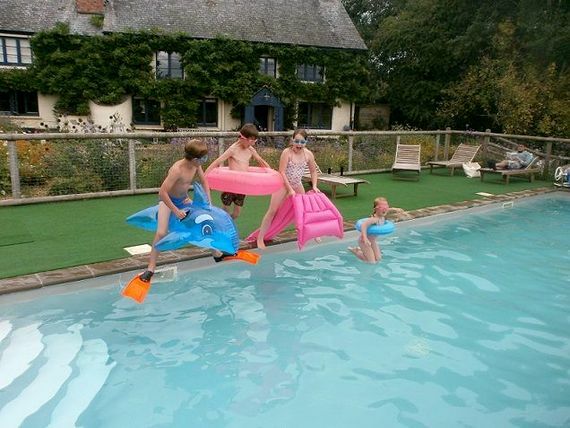 The farm also has a lovely heated outdoor pool. It's really warm, there's no scrimping on the heating and the views are beautiful - surrounded by fields. There is plenty to do in North Devon and Chris and Tracey will offer you lots of ideas tailored to the age of your children. 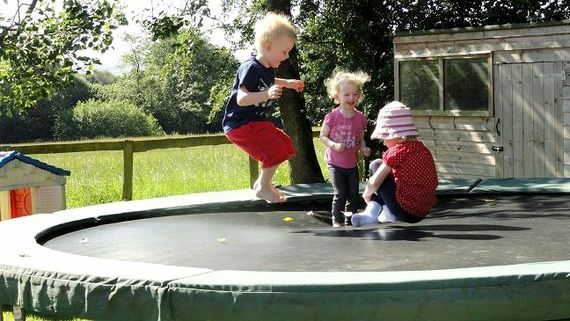 Another benefit of North Bradbury Farm is that you only ever have one other family staying (there are only 2 cottages to rent) so the pool is never busy and the farm feeding is a small affair where all children can get involved. All this adds up to a superb experience but the icing on the cake is that Tracey and Chris have oceans of energy and clearly enjoy this beautiful farm they have created entirely themselves. 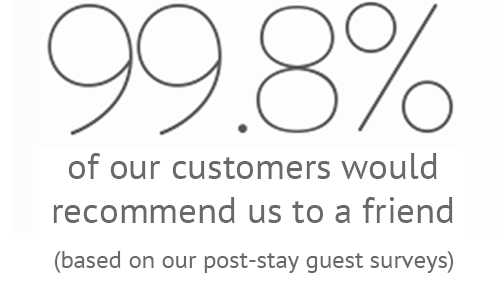 They will make you feel very welcome and make your stay very special. My only hesitation in recommending North Bradbury Farm is that I don't want too many people to know about it for fear we won't be able to get booked in when we want to return! We had a wonderful and relaxing week at North Bradbury Farm. 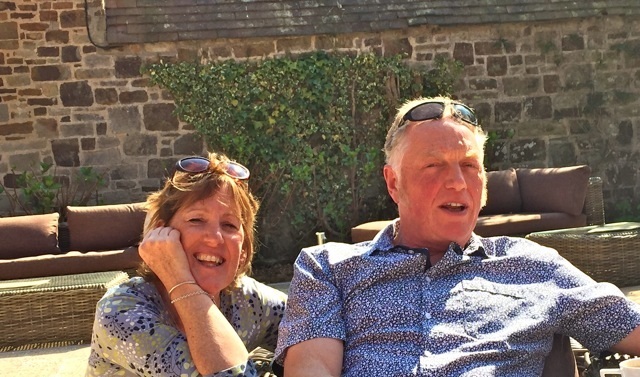 Chris and Tracey love what they do and you see it everywhere, from the quality of accommodation to the effort they go to to entertain and engage the children around the farm. The perfect holiday for a young family. We're going again next year! A fantastic family holiday location, it was out first holiday with our little one and could not have asked for a better location. Tracey and Chris are fantastic host and we will be going again! 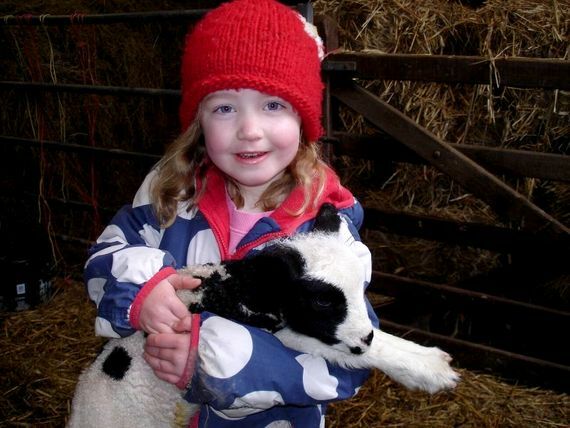 North Bradbury farm was the perfect place to go with young children. Twice a day you can go and feed the animals which our 18 month year old son loved and in between you had to squeeze in visiting the gorgeous beaches about 30-45 mins away, swimming in the stunning on site pool ( which was boiling! ), riding the pony & trap or playing on the many outdoor toys. Farmer Chris and Tracy were perfect hosts especially on the night we had dinner at the farmhouse and it was a treat to be able to get a good babysitter for a night at a gorgeous country pub. We turned up with clothes for our son and thats about it, everything else was provided. Beautiful setting, well equipped accommodation, very friendly welcome and customer care, excellent first-hand access to a range of farm animals. Really friendly and welcoming. Really useful going on holiday not having to take all the parephanalia such as booster seats/toys etc. 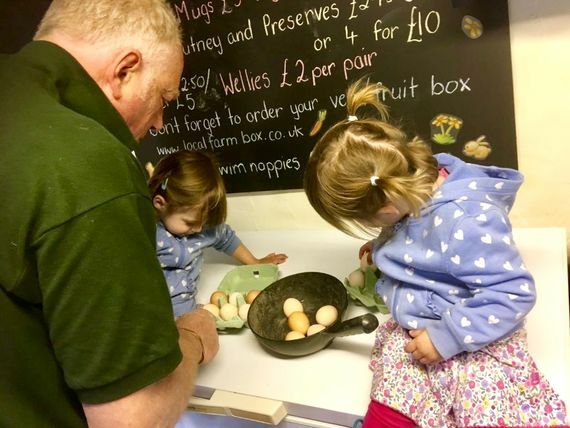 The farm is well set out and 'Farmer Chris' really made our daughter part of the experience with feeding, collecting the eggs which she loved! There were also toughtful touches such as areas for outdoor play with slides/playhouses. The fact there was a farm shop and opportunity to be cooked for within the main farm house was a real luxury and again really made things so much easier! Overall we had a fab time and are looking forward to returning! Great hospitality, lovely (and generous portions) food, and our 1 year old son really enjoyed playing with the age-appropriate toys and look at the animals. Definitely will go back again. Really friendly and welcoming. Really useful going on holiday not having to take all the paraphernalia such as booster seats/toys etc. The farm is well set out and 'Farmer Chris' really made our daughter part of the experience with feeding, collecting the eggs which she loved! There were also thoughtful touches such as areas for outdoor play with slides/playhouses. The fact there was a farm shop and opportunity to be cooked for within the main farm house was a real luxury and again really made things so much easier! Overall we had a fab time and are looking forward to returning! Overall rating; Outstanding! We stayed in the Cider Barn in November 09 and we had a great time.. It was cold and rained all weekend, but we still managed to enjoy every minute. 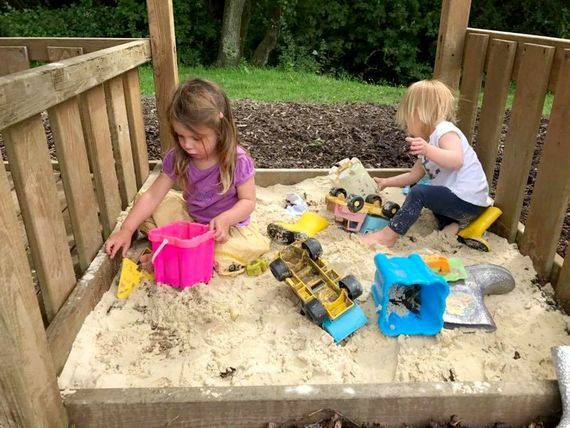 We were made to feel very welcome and the facilities were excellent with toys, baby gates,m home cooked food and everything you need for a relaxing family holiday. The farm was great and our 2 year old loved feeding the animals every evening with "Farmer Chris" The surrounding area was stunning with plenty to see and do and some lovely beaches that we are going to try out in the summer months. I recommend this as a great holiday if you have a family or not. I only wish we could have stayed longer, but we will definitely be staying there again!! The four days we spent here were fantastic! It rained almost constantly, but we all had a really good break. The cottages are excellent, toys and facilities on the farm brilliant and as for the dinner in the farmhouse dining room - best meal I've had in a long time! I'd highly recommend this to anyone, Chris and Tracey were really lovely, and I'm fairly sure we'll be going back, if not next year, then soon. Despite a week of terrible weather, we had a brilliant time at North Bradbury. The accommodation was great and Chris & Tracey are wonderful hosts. My husband & I particularly appreciated all the lovely food we bought from the farm shop, which gave us a break from cooking, and our little boy was kept entertained by all the animals and particularly the big red tractor! I hope we can go back soon! I can't express in words just how perfect this holiday is. The accomodation is spotless and modern throughout including all the thoughtful touches such as stairgates and baby crockery, booster seats and cots, freeview tv etc. My two year old went for a ride on Pudding the Pony (which she loved). My husband went clay pigeon shooting and I enjoyed regular long soaks in the bath. The farm is 3 quarters of an hours drive away from many beautiful beaches including ilfracome, saunton, woolacombe, westward ho etc. And lets not forget Tracey and Chris Wilson who ensured that we all had a great time. A fabulous holiday destination. We had a wonderful week. It was all great but particular highlights were Tracey and Chris's encyclopaedic knowledge of the area which allowed us to go on many child-friendly trips out (avoiding those which wouldn't have been suitable) and the daily "farming" which turned our city-son into a real country boy. The facilities couldn't be faulted - you genuinely need to take very little to cater for your children's every whim. We intend to go back ! The three of us all had a great time. Our 18 month old loved everything from feeding the animals to playing on the toy tractors, slide and trampoline. The cider barn was the perfect base, beautifully kitted out with everything we needed including toys! We can also recommend the rogan josh - scrummy! 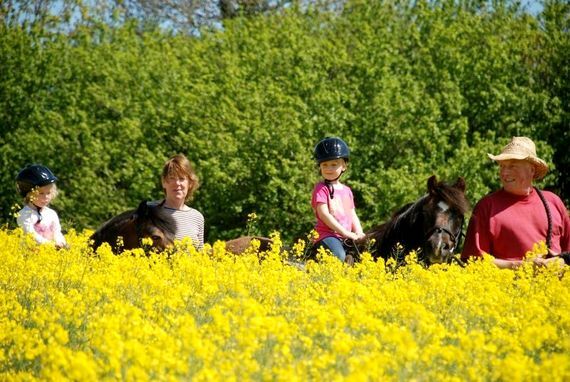 North Bradbury Farm is the perfect farm holiday, and reminded us of farm holidays from our childhood. The barn is really well equipped for babies, including toys and DVDs. The best bit was the welcome from Tracey and Chris who are fantastic, and know everything about the area. We had some wonderful days out, thanks to their advice. The food is amazing, both that served in the farmhouse and the frozen dinners. We can't fault it, we'll be back next year! We had a wonderful week staying at Tracey and Farmer Chris' farm. It is so perfect for young children and you really don't need to take anything with you- it's all there. It's great to just hang out on the farm as there is so much to do but also there are loads of attractions for all ages nearby. You must eat in the Farm dining room as Tracey's food is amazing. A great holiday we would really recommend. We had a really lovely time. Tracey and Chris were very friendly and our 18 month old loved being able to help feed the animals. The Cider Barn was really well kitted out with everyrthing we needed. We have just come back from a fabulous week at North Bradbury Farm, the minute we arrived I relaxed because the place is so lovely and really has got everything for keeping little ones happy, safe and busy. We have a two year old and a 6 month old and I can't recommend it highly enough. We will be back! We had a wonderful week at the farm and can't recommend it enough. 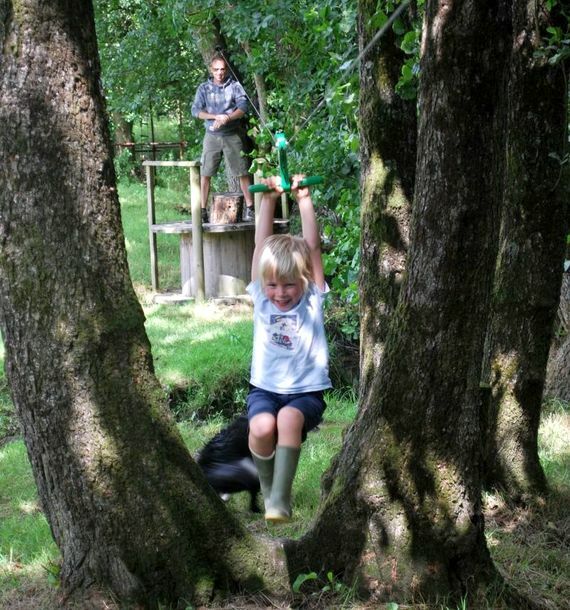 Tracey and Chris have thought of everything to make your stay as child-friendly, fun and relaxing as possible. It was ideal for children of all ages and adults. We are already planning our next trip back and it will be even better once the outdoor swimming pool is completed - it looks stunning.